Among a host of travel modes, for environmentalist, they show special preference to bicycle. The reason is self-evident. With the development of technology and the higher demands on the transportation, the bicycle is no longer to meet the demands of the public and even the environmentalist. Here comes Fosjoas electric self-balancing scooter, trendy, portable and more importantly green. The bicycle enjoys a long history. In 1770, Sivrac, a French person invented the most primitive bike, with two wheels and without transmission gears. In 1874, a truly modern bicycle was born. Lawson, a British man, added a chain and chain wheel to bicycle, enabling the rotation of the rear wheel to go forward. However, it was still not coordinating and stable enough. Such long history of bicycle has enjoyed a larger and solid consumer base. Being the exemplar of the electric scooters, Fosjoas electric self-balancing scooter is often contrasted with the bicycle. Both of them are green and eco-friendly. In addition, they differ from each other in many respects. From the dimension of energy system, Fosjoas self-balancing electric unicycle is powered by electricity, whereas the bicycle is driven by the physical energy. The advantage of the electricity is to bring the rider an effortless ride. In terms of portability, Fosjoas is lightweight and portable; however, most of bicycles are cumbersome and weighty. When the tyre of the bicycle is punctured, it becomes more a hindrance than a help. The portable Fosjoas is the opposite, which can be lifted to any public transportations. From the aspect of function, Fosjoas electric scooter is versatile and bicycle fulfils the single purpose. Fosjoas can be treated as a transport as well as an entertainment device. 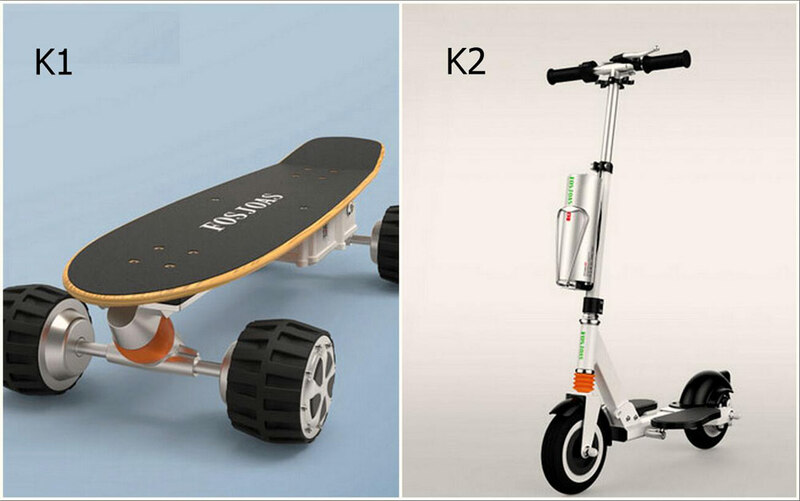 Various models widen its consumer base, for instance, the Fosjoas K1 becomes the youngster’s intimate friends, K2 helps many office workers out and U1 sitting posture self-balancing scooter gives stay-at-home mom a more interesting way to take care of babies. From the above description, the Fosjoas two wheel self balancing scooter has its incomparable advantages.